Recently we have added our Vintage product to our assortment. 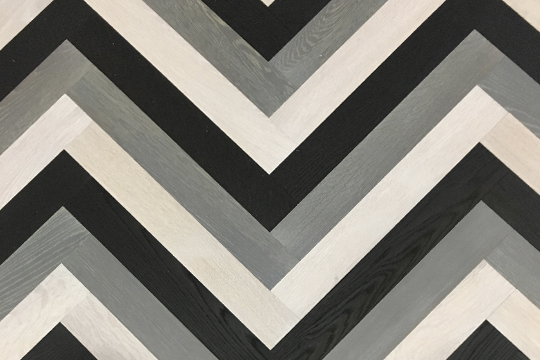 A beautiful oak plank in a width of 220 mm, heavily brushed with black stopsel and an authentic vintage look. As often written, pattern floors are becoming increasingly popular. 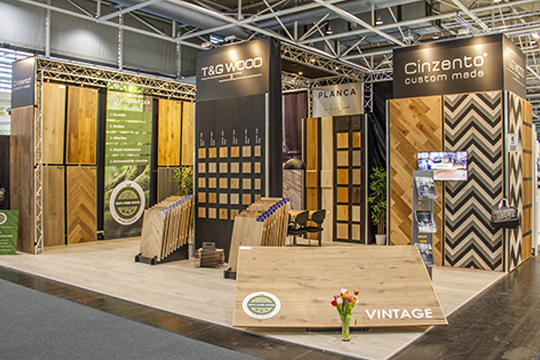 On our stand we have shown some eye-catching colour trends and variations of pattern floors. We see a slight movement in the market and we want to support our clients with the sale of a real wood floor. We will do this with our new label ‘100% Pure Wood’. We start the year profitable!